This work attempts to combine both painting and sculptural concerns. 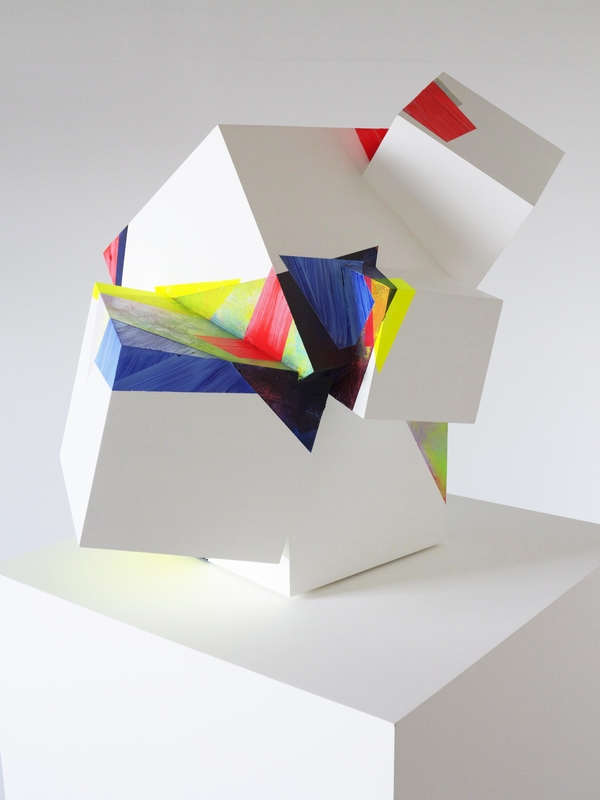 The forms of are influenced by architecture, modernist practices of fabrication, and geometry. 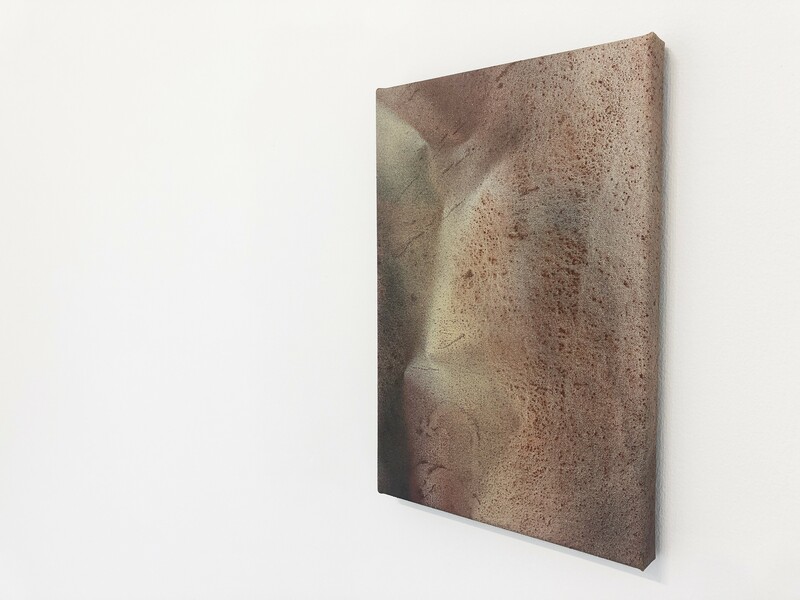 Approaching the sculptural, they cast shadows which shift and change in the light whilst their painted surfaces explore the materiality of paint and its’ application, painting as process and the interaction of colour, which encourage the viewer to experience them as three-dimensional paintings. Some of the works are located on the wall allowing them to become ‘pictorial space’ and ‘spatial pictures’.